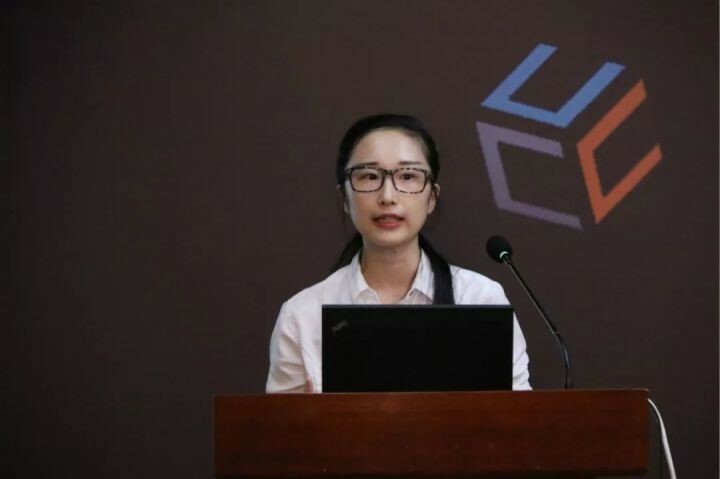 The first annual conference of Chinese Computational Communication Research Association (CCRA2018) was held on Sept 21-22 in Beijing, China, coorganized by Beijing Normal University, Nanjing University and City University of Hong Kong. Several members attended the conference in different capacities. 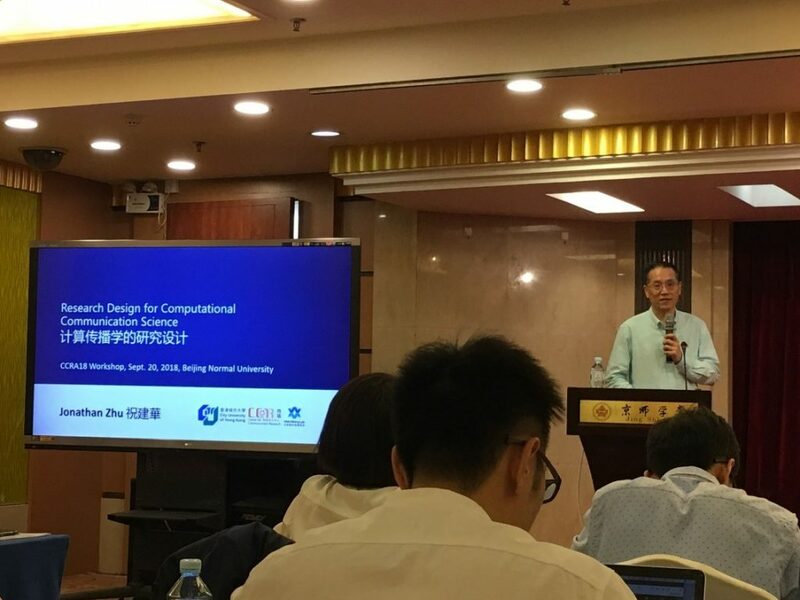 Jonathan Zhu chaired the opening session of the meeting as the founding president of CCRA and also gave a tutorial on “Research Design for Computational Communication Research” in a preconference workshop. Guan Lu and Chen Zhicong gave oral/poster presentations on “Impact of Self-Interest, Peer Influence and Global Popularity on Blogging Activities” and “The Poor Read for Entertainment and the Rich Read for Education: The Structural Inequality in Mobile Reading”, respectively. Three affiliated members of the lab, including Zhong Zhijin of Sun Yat-Sen University (the right in the photo below), Chao Naipeng of Nanjing University (middle), and Zhang Hongzhong of Beijing Normal University (the left) were elected to form the new Presidential Council of CCRA for the next six years. 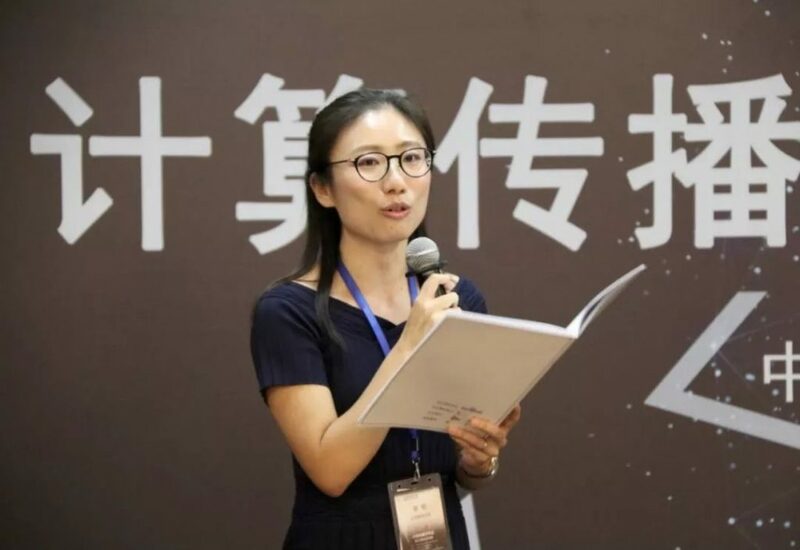 When introducing the new leadership, Jonathan Zhu projected that “the newly elected Presidents will lead our young community of computational communication researchers in mainland China to grow in the future”. 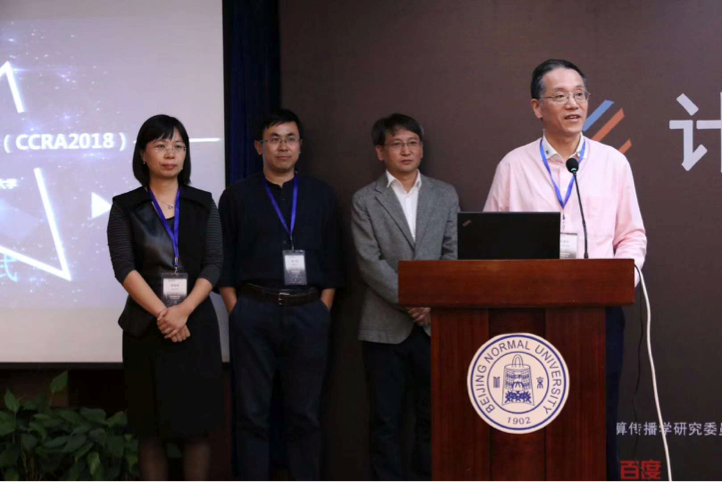 Another three affiliated members of the lab, including Zhang Lun of Beijing Normal University, Wang Chengjun of Nanjing University, and Xu Xiaoke of Dalian Minzu University, released in the Conference a new book titled Introduction to Computational Communication Research. The book is the first textbook in Chinese to introduce methods and case studies on computational communication research.